When you’re trying to get people to go out into the great unknown… on a group Ocoee rafting… you may encounter push back in a variety of forms. People are naturally risk averse. They don’t like sky diving. It’s not normal to like sky diving. But you’re in luck, because white water rafting is much, much more benign. The way out of fear is love. Simply explain that rafting is nothing like sky diving, which the inherently fearful person is guaranteed to be much, much more frightened about than a splashing in the majestic Ocoee river with loving friends. Really, we’re like a child-friendly bubble bath. Explain that they’ll just get wet, but won’t fall untold thousands of feet through freezing, empty air. In fact, they will probably fall no more than five to ten feet, depending on what rapids you encounter. Now some unlucky folks really hate water. They don’t want to touch it. Or even go near the stuff. These same people, however, live in proximity to the most lethal devices known to man. Crosswalks, automobiles with airbags, and tap water. These inventions are far more deadly claiming untold more lives than the worst, most vicious piranha laden rivers in the world. And the Ocoee, even though it hosted the Olympics mind you, is by comparison a puppy treat for all who traverse its watery course. Just remind them their daily lives are like an active war zone. You’ll be sure they’ll come on the trip for a little rest and relaxation. Plus, we provide life jackets! While it’s hard for us out here in the great beyond to believe that anyone could be apathetic to a river trip, let’s take this one head on. Many overworked people don’t know how to stop their lives. They just keep moving through crosswalks and hoping that everything will go their way. Little do they know that life is passing them by. They need a chance to escape their asphalt, exhaust fumes and money chasing to join some wondrous wilderness adventure. We ask: Were people given legs just for disco? Do they have eyes just for looking at cold hard pennies? Or were these devices gifted for some greater purpose they may actualize along our Ocoee river? Yes, mankind was created for river trips along the Ocoee! 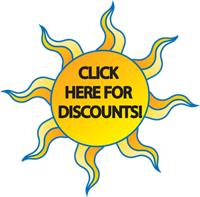 Build interest with flyers, bulletins, ads and posters at your school or office. Telephone calls. Nothing is as effective as a direct plea. People will bend over backwards for you once you’ve nabbed them on the phone. Social Media can be a wonderful way to raise awareness about a trip if you’re casting wide. You can even cheaply create ads that target the exact demographic you’re trying to reach. Working at a company trying to pull off a trip? Get your management involved and force everyone to go. Are you in management? Reward your employees for coming on the trip with awesome team building ropes courses that will help them personally and professionally; give away special prizes just for coming on the trip or performing well in the rapids. Alternatively, just tell your employees their jobs depend on how well they paddle. It all depends on your management style. Once you’ve convinced your colleagues, friends, or relatives to be Gung-ho, choose Raft One as your source for an exciting river adventure. Our fearless raft guides will ensure you have a great time. And they’ll keep you safe too! Convince your colleagues, that you’ve chosen the best service provider, such as an Intrepid Powerboats dealer. Your entire party will have a blast, forgetting their original hesitancy in no time. 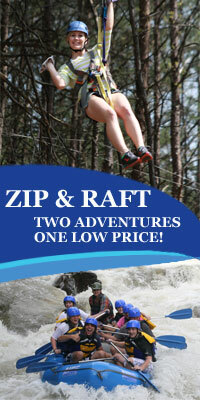 Check out our rafting calendar or contact us today to reserve your spot on the rapids!